With more than 20 years of diverse corporate experience, Scott Bourdo uses his keen business sense and exceptional work ethic to make strategic connections as Pinnacle Financial Advisors’ Director of Business Development. Scott understands the numerous financial considerations and challenges business owners must account for, helping identify opportunities for the Pinnacle team to offer advice and expertise relating to short- and long-term financial roadmaps. Scott previously served as CEO of Kovach Building Enclosures, a national manufacturer and installer of high performance exterior cladding and glazing systems. Scott began as a Project Manager more than two decades ago and worked his way up, serving as Director of Operations, Vice President, President, and eventually CEO. He was instrumental in the successful sale of the company in 2015. During his time as CEO, he was a runner-up for the Construction Financial Management Association’s CEO of the Year award. 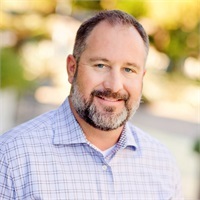 Scott also serves as a Senior Consultant for KnowledgeTrax, helping business owners prepare for growth, recapitalization, and internal/external transactions. Scott places great importance on giving back to the community. He currently serves on the Board of Directors for the Chandler Compadres, an organization that helps disadvantaged children in Chandler and the East Valley. He is also Vice President of the Board of Directors for Bethany Christian School, an active member of the prestigious Young President’s Organization – Arizona Chapter, and a member of the White Mountain Summer Home Association (WMSH) architectural review committee. In recent years, Scott has served as the Vice Chair, Treasurer, and as a member of the Board of Directors for ICAN, a local nonprofit providing free after school programs to underprivileged children. Scott lives in Chandler with his wife Jami, their two children, Selah and Brodi, and their three dogs, Jack, Lucy, and Gracie. Scott enjoys traveling, snowboarding, camping, off-roading, and spending time at the family’s WMSH cabin with family and friends.